If you find that you lose your hair sometime in your daily life?dont worried,people usually lose 50-100 hairs each day.but these days,more and more people suffer from the heavy hair loss because of medication,chemotherapy,nutritional,disease or stress. Deficient diet will lack the nutrients which is important to your hair health.hair loss will be caused if you lack proteins or having unusual eating habits.our body will promote growing hair into resting time.if you can pull our the root of your hair easily,this mean that you lack the good balanced diet.so youd better eat a balanced diet which are rich in proteins and other important nutrients. 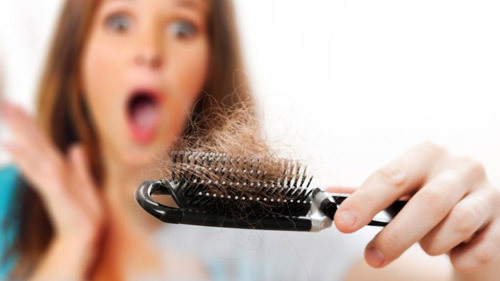 Hair loss problem may be caused by body dont absorb enough of iron from food.women are more easily lack iron during menstrual time.a laboratory test can discover whether you lack iron or not and you should have diet that are rich in iron and iron pill if you are low iron in body.